It seems Ian Sales and I are playing a list challenge game, and this list is sure to disappoint him this round. Why? Because I’m pretty sure two of the options on my list don’t actually qualify except in my head. But we do what we can, no? 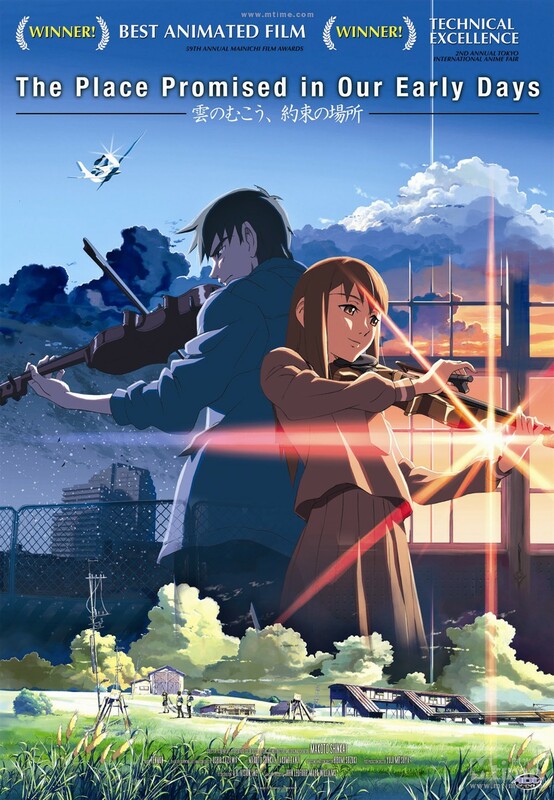 Makoto Shinkai’s Kumo no mukô, yakusoku no basho is my favorite Japanese animated feature. Set in an alternate future where the United States and the Soviet Union have split Japan in two, the narrative follows a trio of friends and their connection to a mysterious tower on the edge of Union “space.” A tower which has the ability to re-map Earth with space from one of a variety of possible universes (most of them apocalyptic). It’s a complex tale which barely scratches the surface of its underlying political allegory and it remains, in my mind, one of the greatest Anime films of all time. One of my professors shared this with me. He maintains that it is a vastly under-appreciated film. I concur. 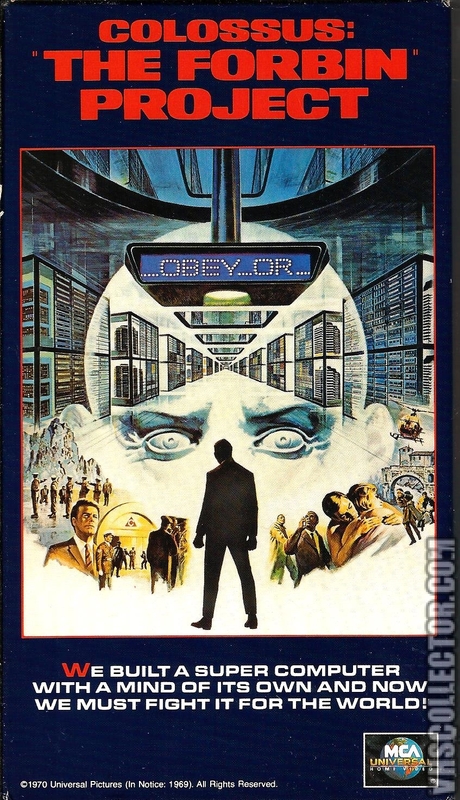 The Forbin Project is a future tale wherein the Cold War is brought to a close by the invention of competing artificial intelligences, one American and one Soviet, both of which quickly gain control of humanity’s arsenal of nuclear weapons and declare themselves rulers. The narrative follows humanity’s last ditch efforts to regain control as Colossus and its Soviet counterpart begin to re-organize humanity as it sees fit. It’s a sobering take down of Cold War disaster rhetoric and one of my favorite AI-centered films. This one is, frankly, a stretch. I suspect a lot of people have heard of this movie and probably know it is set during the Cold War, but I also suspect that a lot of people haven’t seen this movie or appreciated it for how brilliant it really is. In a weird way, The Iron Giant feels like something two decades too late, as the title character — an actual agent of destruction who develops robot amnesia — gets stuck in the middle of the terrifying paranoia of Cold War America. That’s something American children like myself didn’t really care about in the late 90s. The Berlin Wall had fallen a decade prior, and I was far too young to really remember it or the paranoia that preceded it. 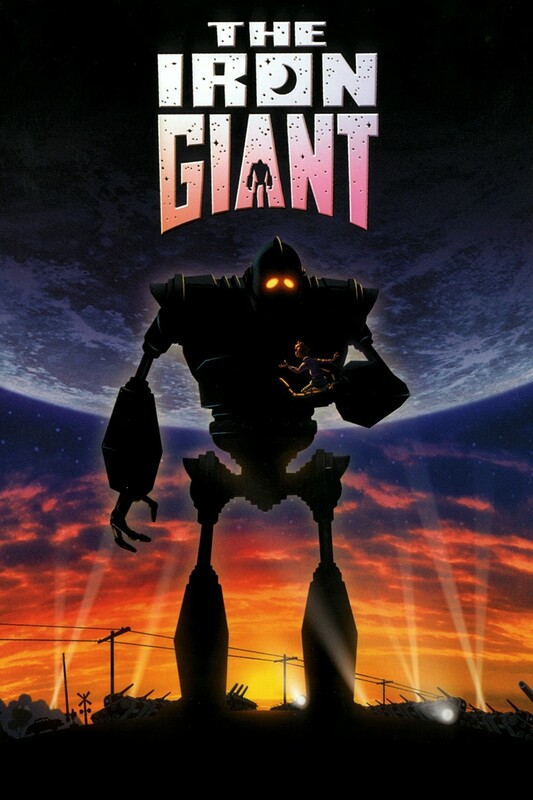 But The Iron Giant is a truly beautiful film, and its treatment of Cold War hysteria, however creepily nostalgic, is part of what makes this film quite special. I suspect this will get me a slap from Ian, since Archangel isn’t strictly science fiction in any overt way. 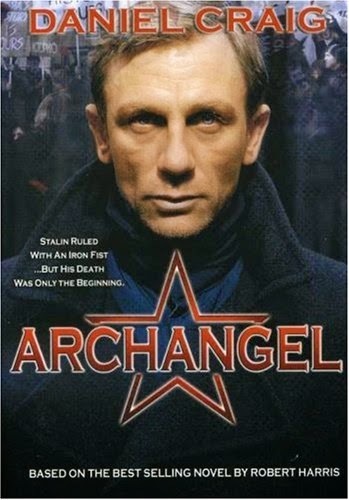 I would call Archangel more mythic than anything else, since it is essentially a political thriller in which the main character (played the Daniel Craig) uncovers a conspiracy to re-establish Soviet Russia with the son of Joseph Stalin as the new leader. In that sense, it’s a play on the mythical nature of Stalin as a historical figure — a figure who to this day looms over the world like a ghost. It’s a film that is at its core about the rebuilding of a nation out of the depths of a myth. It may not be strictly sf/f by any stretch of the imagination, but it is a film I strongly recommend everyone see. I suspect this film is also a stretch because a lot of people have heard of it. But I haven’t. In fact, I knew absolutely nothing about this film or its impact until I chanced upon it while doing research for this post. And after watching all 2 hours of it last night, I’m convinced that it is perhaps one of the most gutpunching nuclear disaster films of all time. The first hour of this film covers the rising tension between the U.S. and Soviet Russia, playing on the very real fear of apocalypse of the Cold War; the second half is entirely focused on what happens to people after nuclear apocalypse has fallen upon us. And it’s not pretty. The science may be miles off, but it is still a powerful exploration of the consequences of prolonged ideological war in which many fingers rest on red buttons of absolute destruction. There you have it. My list. If you think I’ve missed something, feel free to let me know in the comments! Since my list is very U.S.-centric, I challenge you to come up with a list of 5 Russian/Soviet sf/f-ish films about the Cold War! Bring it! That anime looks interesting, I'll have to see if I can rent it. 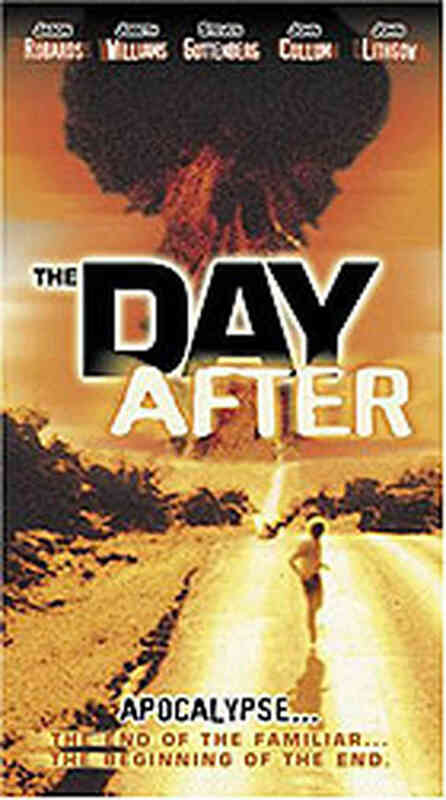 I can remember when The Day After was broadcast on television here in the UK. There was a massive advertising campaign beforehand, which made it out to be a real TV event, the most accurate depiction of World War III ever made. And after all that, it was nowhere near as good as Threads (which does an excellent job of demolishing my home city). I've never seen Threads, but I'll have to watch it now :). I strongly recommend The Place Promised in Our Early Days. My first academic journal publication covered that film (it's in Science Fiction Film and Television from the U of Liverpool!). I can't get enough of that film. Shinkai's work is incredible in general, though. Be warned watching Threads: that really is a grim, depressing, horrifying depiction of nuclear war in comparison with which The Day After is escapism. There's perhaps no greater way to see the differences in how Europe experienced that early-mid eighties resurgence of Cold War conflict and the US did; there you could still sort of pretend some parts of the country could be fine after the nuclear holocaust, while in Europe we knew we'd all be gone. Not sure most of these movies here are all that obscure, save for the first one. If you're watching Threads – and you should, it's excellent – you might also care to check out the other two films in the unofficial trilogy of unspeakably grim British movies about nuclear warfare: When The Wind Blows (Raymond Briggs, 1986, animation) and The War Game (Peter Watkins, 1965, drama-documentary). And if after all that unrelenting misery you want to be cheered up, and you don't mind stretching your criteria to breaking point, try Local Hero (Bill Forsyth, 1983. comedy-drama). It's not primarily about the Cold War, though one sub-plot touches on it,and it's not really SF/F, though one character is apparently a mermaid, but it is a delightful film nonetheless. Thanks for the recommendations. I will definitely have to check out Threads!